C.O.T.M - August - DeLaSoul is the winner! C.O.T.M July - Dinochips is the winner! COTM June 2016............VTi Vroom is the winner! 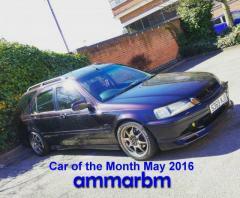 COTM May 2016........Ammarbm is the winner. C.O.T.M March - Winner is h4mza! C.O.T.M February - Maë is the winner!